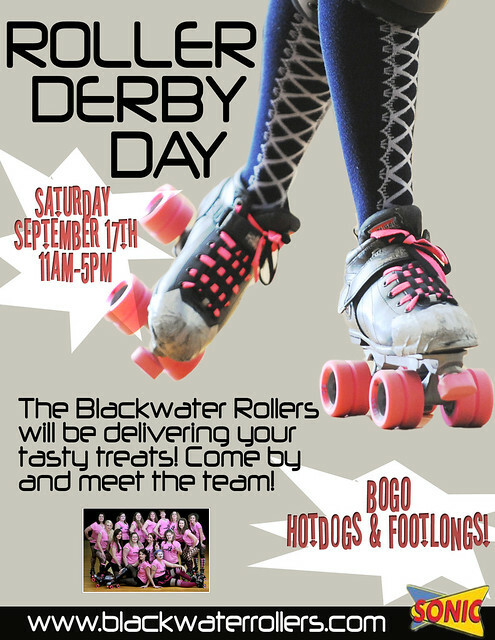 This Saturday, Blackwater will be playing the part of a 50’s waitress and serving the fine costumers of Sonic Drive-in. We will be working for tips and tater tots from 11am – 5pm at the Sonic in Madison Heights on 29 North. We take lots of falls on the rink but we promise to be extra careful with your limeade and hotdogs! Sonic will be having BOGO specials so stop on by!